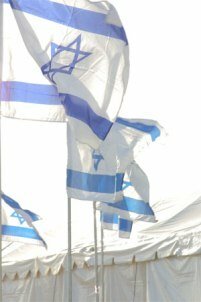 What is the role of Israel in bible prophecy? Unfortunately, a large segment of the Christian community believes that God is finished with Israel, that the blood of Christ on the cross negates God's promise to the Jewish people. God's promise to Abraham still stands, and the tiny nation of Israel is a major player in end time events. In the late 19th Century, the Zionist movement started to gain in popularity, and Jews throughout the world trickled into Israel by the thousands. Then those thousands became tens of thousands. The horrors of the Holocaust turned a trickle into a deluge as the Jewish people sought refuge in a country where they would no longer face minority status. All this mass immigration occurred in fulfillment of God's Word, as referenced in numerous regathering of Israel bible verses found in the Old Testament. Are you confident you can weather the current economic storm? Learn how to build an online business that works. But God didn't merely promise to regather the Jewish people in the land of Israel. He promised breathe life back into the nation. This is exactly what happened on May 14, 1948, when the country's leaders declared Israel an independent nation and the United States quickly recognized the declaration. Need further evidence of the role of Israel in bible prophecy? As you read this, world leaders are focused on Jerusalem. In a hopeless effort to forge "peace" between the Arab and Jewish people, many leaders openly talk about "dividing" Jerusalem. Yet, God's proclamation is clear. Jerusalem will remain an undivided Israeli possession. Yet despite the numerous end time prophecies fulfilled by modern day Israel, Christ has not yet returned, meaning several unfulfilled prophecies are yet to be fulfilled. Given the promise of Jesus that the generation which witnessed Israel's rebirth would not pass away until all end times bible prophecy is fulfilled, many of us will witness the fulfillment of these remaining prophecies. Currently, Damascus is the world's oldest continuously inhabited city, so this is clearly an unfulfilled bible prophecy - one scheduled to be fulfilled in our generation. The war of Gog and Magog also plays a central role in end times bible prophecy concerning Israel. More than 2,600 years ago, the prophet Ezekiel revealed God's plan to bring a coalition of nations against Israel in the last days. In the centuries since Ezekiel's prophecy, Russia and Iran have never had a military alliance. Yet, the past decade has seen closer and closer military and diplomatic cooperation between the two nations, making fulfillment of this prophecy in our generation a much more realistic scenario. According to Daniel, in the middle of the treaty's seven year time period, the Antichrist will set up a sacrilegious object that causes desecration in God's Temple. This act is known as "the abomination of desolation." Essentially, the Antichrist will stand in the Temple of God and proclaim himself to be God. The rebuilding of the Temple in Jerusalem. Of course, in order for the Antichrist to do this, the Temple has to exist. And since the Roman legions destroyed the Temple in A.D. 70, it's never been rebuilt. The bible clearly prophesies that it will be in the last days. Currently, the overwhelming majority of the Jewish people reject Jesus of Nazareth as the one who fulfilled the Old Testament messianic prophecies. According to the prophet Zechariah, that will change in the last days, when the family of David will "look on me whom they have pierced and mourn for him as for an only son." At the end of the Tribulation, Jesus Christ will physically return to the earth to wage war against His enemies. His feet will touch down on the Mount of Olives, and it will split apart. The Lord of Heaven's Armies will come as the conquering Messiah, to take possession of the earth once and for all. When He comes, He will establish a Kingdom which will last forever. So when will all these things take place? When will all the end times prophecies concerning Israel finally reach fulfillment? Throughout the Old Testament, the fig tree is used as a symbol for Israel. In fact, Jesus Himself used a barren fig tree as a parable for an unbelieving people. In the above passage, Jesus is clearly telling His disciples that when the nation of Israel "begins to sprout," the events He described will soon come to pass. In other words, when the nation of Israel is reborn again as foretold by the prophets Ezekiel, Jeremiah, Isaiah, Amos, and others - then you will know "His return is very near, right at the door." Christ is coming soon. Israel's existence is clear evidence, so live your life accordingly. Britt Gillette is the founder of End Times Bible Prophecy and the author of Coming To Jesus and Signs Of The Second Coming. 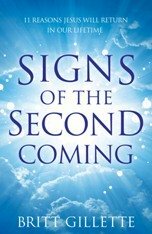 Receive his book 7 Signs of the End Times for FREE when you sign up for his monthly newsletter. 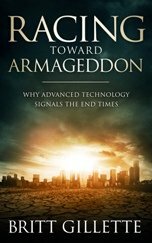 Download Racing Toward Armageddon: Why Advanced Technology Signals the End Times on Amazon, Apple iBooks, Kobo, Nook, and Smashwords. 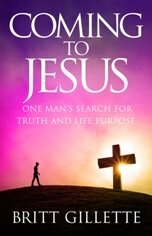 Download Coming To Jesus: One Man's Search for Truth and Life Purpose on Amazon, Apple iBooks, Kobo, Nook, and Smashwords. "Signs Of The Second Coming"
Download Signs Of The Second Coming: 11 Reasons Jesus Will Return In Our Lifetime on Amazon, Apple iBooks, Kobo, Nook, and Smashwords. Blind Faith In Jesus Christ? Is Barack Obama the Antichrist? Which Church is the True Church of God? 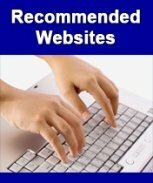 Tired of checking the site for updates? Use the form below to sign up for our free monthly newsletter. You'll get bible prophecy articles, commentary on current events, news on new book releases, and more. (The newsletter is free of charge).